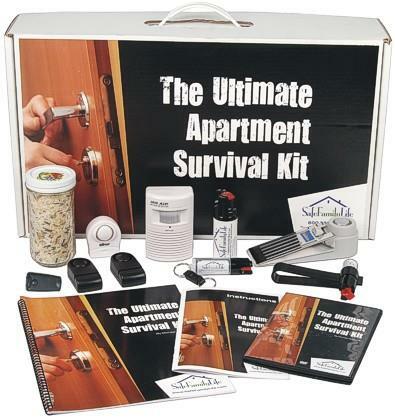 The SafeFamilyLife™ Ultimate Apartment Survival Kit is specifically structured for apartment security. From the door stop alarm, to a mini infrared alarm, to a diversion safe for your valuables, to your personal safety with pepper sprays. Plus a manual with instructions for each product in the kit and a DVD that demonstrates each product for you. Below is a video that shows you each product in the "Ultimate Apartment Survival Kit"